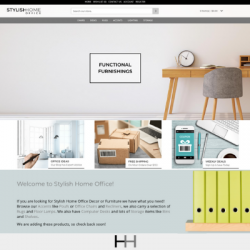 Concept: Online shoppers can bring style to small spaces whey they shop at this unique ready-made furniture and decor website - Introducing SmallAndStylishHome.com! 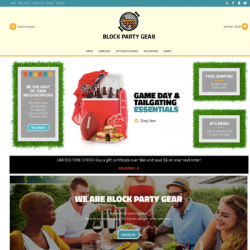 This niche market website business offers a terrific array of drop ship products great for small spaces including furniture, bedding, room decor, storage solutions, lighting and more. Whether someone lives in a dorm, apartment or loft they can create a home with style when they shop here! 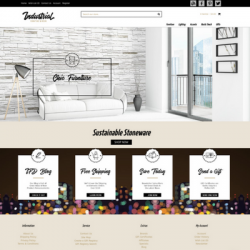 This online furniture store is 100% responsive and offers a user-friendly shopping experience whether customers are shopping from a computer, tablet or smart phone. 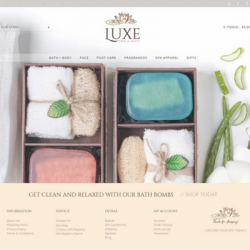 This website has easy to navigate product categories, eye catching images to draw shoppers in and marketing messages to entice customers to buy their small space products there. 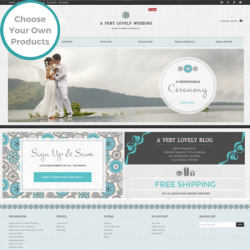 As the owner you can build quality customer relationships by sharing product pairing ideas, design tips and more with the direct link to your blog. You can also reach customers through the connected social media pages where you can share design inspiration for small spaces, as well as, new product and sale annoucements on the newsletter. 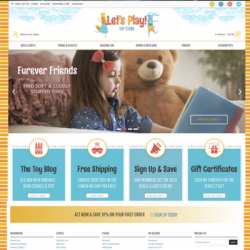 This online business offers many ways for you to connect to your customers! 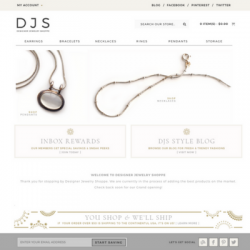 When you choose to work with Pure-Ecommerce we give you the "tools" you need to get started in the online marketplace. Our team will load the first 800 drop ship products for you, as well as, set up the initial vendor relationships. You will receive 40 hours of ecommerce consulting and access to our eLearning Library. Our informative 10 step program will help you learn to set up, manage and market your new online business. Looking for even more assistance? We have it - you can upgrade any of our ready-made internet businesses for sale to our Platinum Package Upgrade. You will receive lots of additional perks to help you jump start your new business. 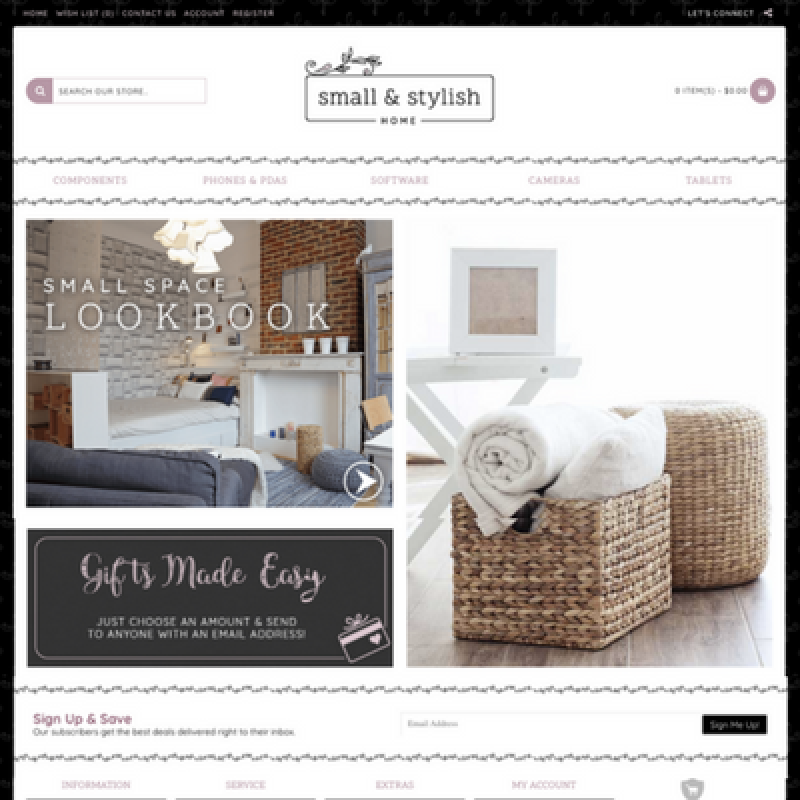 Let's work together - Contact us now for pricing and to request more information about SmallAndStylishHome.com. Let us help you get started with this exciting online business opportunity! Online household furniture sales in the US top $9 billion in revenue yearly according to IBIS World. While the retail furniture industry had experienced negative growth, the online retail furniture industry has seen a 9.6% increase and is expected to continue to grow over the next five years IBIS World reports. 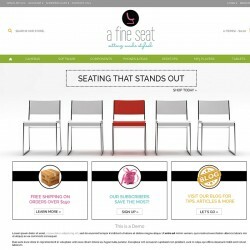 AFineSeat.com designed by Pure-Ecommerce Responsive Design Website Part..